Cardiff Devils managing director Todd Kelman wished departing Ben Blood well after confirming the forward was moving to Finland – but only at the right price. 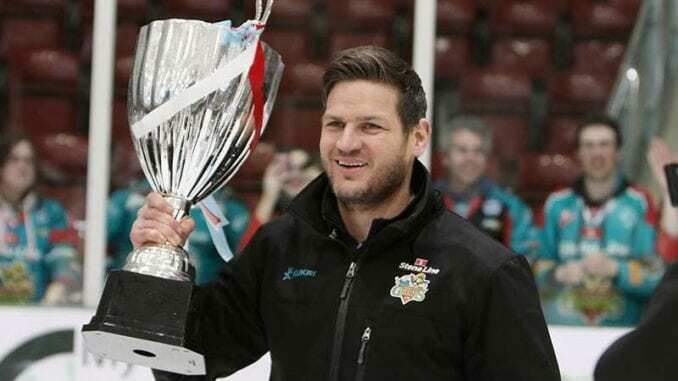 The 29-year-old has gone to Tappara in the Finnish Liiga in a surprise move just under four months since his arrival in South Wales was announced. But Kelman couldn’t hide his disappointment at seeing the American leave so soon, however recognised it was a good opportunity for him to return after initially joining from Ässät, another Liiga side. He told the club’s website: “We’re extremely disappointed that Ben is leaving the club, but on the flip side, this is a great opportunity for him and he has agreed a two-year deal with a top team in one of the best leagues in Europe. “We found out late last week from Ben’s agent that this deal was on the table, and we have spent the last few days negotiating the compensation for releasing Ben from his contract. “Blood has had a big impact with the Devils and had established himself as one of the top defencemen in the league as well as being one of the more popular Devils with the fanbase. Blood picked up 11 points, consisting of three goals and eight assists in 18 games for the Devils as well as featuring in all six of their CHL games. The club have also stated they are in the market for a replacement and hope to have a signing soon.